Fancy a beer with your pie at the football? Now You Can! Heart of Midlothian FC is delighted to announce the opening of Bar Zero, a refreshing new match day food and drink experience on its Main Stand concourse. 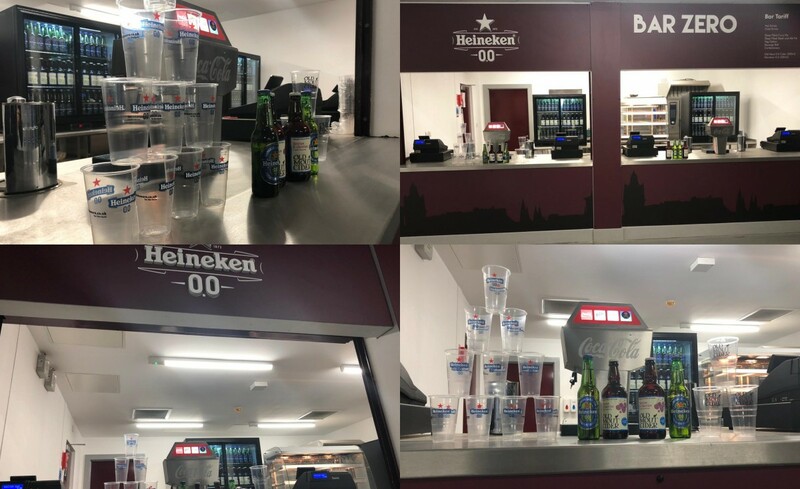 This innovative catering concept, backed by the Club’s Official Beer and Cider partner, HEINEKEN UK will serve Heineken 0.0% and Old Mout Berries & Cherries Alcohol Free cider before games and at half time. Hearts becomes the first club in Scotland to offer a dedicated, alcohol-free beer bar. “Supporters have long wished for the opportunity to enjoy a beer and a pie at the game and Heineken 0.0% provides the ideal product as a great tasting alcohol free beer. Bar Zero will also serve a new range of delicious deep-filled pies with fillings including curry as well as steak and ale. “A pint and a pie is synonymous with football – and now you can at Hearts FC with a great tasting Heineken 0.0 or an Old Mout Alcohol Free. We’re really pleased that thousands of Hearts fans will be able to toast their side with these great drinks over the coming season."